Introducing Dusk, the stunning new addition to the acclaimed Republic precinct. 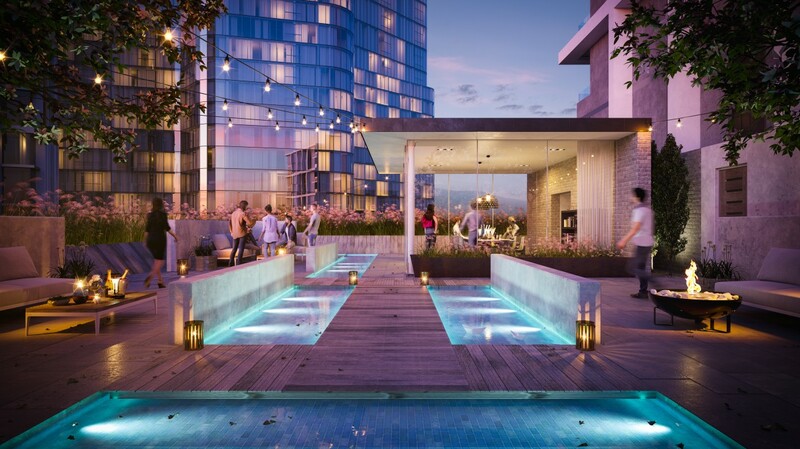 Rich in contemporary styling and every modern amenity, Dusk boasts sweeping water views, quality finishings and new benchmarks in value. All just moments from the idyllic waterways of Lake Ginninderra in the thriving Belconnen Town Centre. No wonder Canberra comes alive at Dusk. The centerpiece is an entire floor of private amenity on Level 14. This includes a fully-equipped resident library, lounge, gourmet chef’s kitchen, dining room and stunning rooftop terrace with breathtaking vistas across Black Mountain, the University of Canberra, Lake Ginninderra and beyond. Located in Belconnen Town Centre on the edge of Lake Ginninderra, Dusk at Republic puts every imaginable amenity within effortless reach. With so many delights in your own apartment, you may never want to leave. But when you do, Dusk puts a stunning array of private resident facilities at your fingertips, 24/7. Discover tranquil places to relax on your own. Intimate spaces to connect with family and friends. Or dust off your dancing shoes and celebrate life’s biggest occasions in unforgettable style.